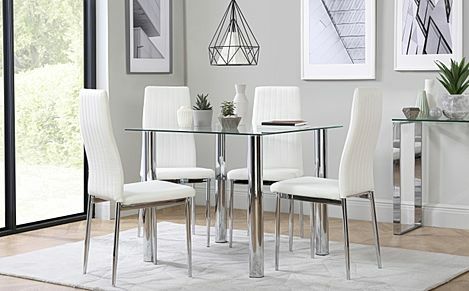 Our square dining sets are perfect for space-savers. High-quality materials are used, with a wide range of colour and style variations. 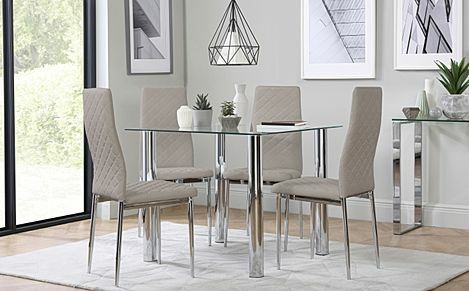 Perfectly sized for kitchens and dining rooms that are a bit on the tighter side, a square dining set is a wonderful space-saving solution for any home. 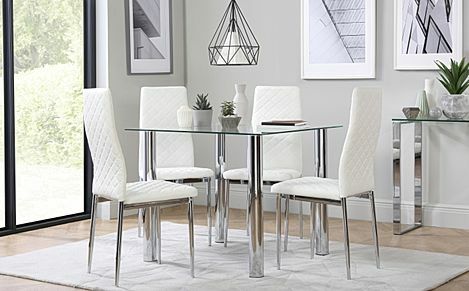 Enjoy intimate suppers, close-knit family breakfasts and unreservedly relaxing weekend lunches - every possible situation is catered for, and made all the more enjoyable with one of our excellent dining sets. 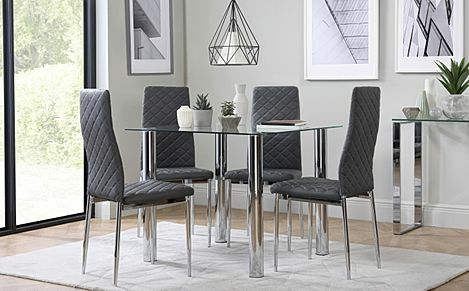 Whatever the decor of the room, you're sure to find the perfect dining set to match in our extensive range. 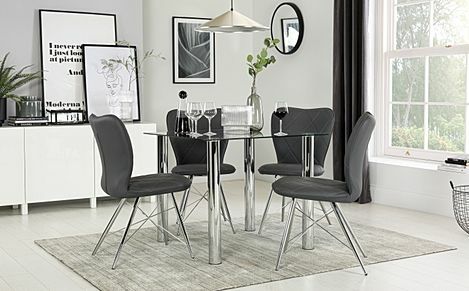 Tables include square dining tables available in bright hardwood, a painted white finish, or deep, dark hardwood. 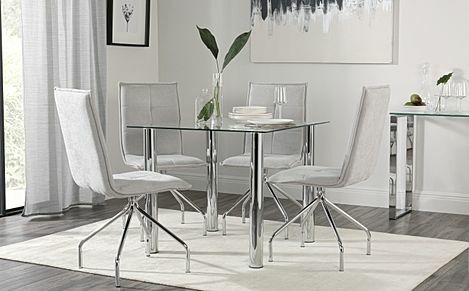 Modish individuals will fall in love with our stark, minimalist tables, perfect for city-dwellers who want the table-of-the-now. We also have tables that fuse oak and glass together into wonderful combination of rustic and modern. Similarly, a hearty mix of extremely hard sheesham wood and rustic ironwork, will bring an understated confidence to any dining room. All of our tables are finished so as to make cleaning and maintenance an easy task. Whatever your taste of table, We've got a great choice of chairs for you to complete your dining set. Each table comes with number of different chair designs to choose from, each coming in a great palette of colours. Bring your dining room or kitchen firmly into the 21st century with one of our spectacular dining sets. Have any questions? Call us on 0800 035 0070 and get the furniture you deserve.